The Adult Day Training Program is the first building block toward an independent future for our clients. 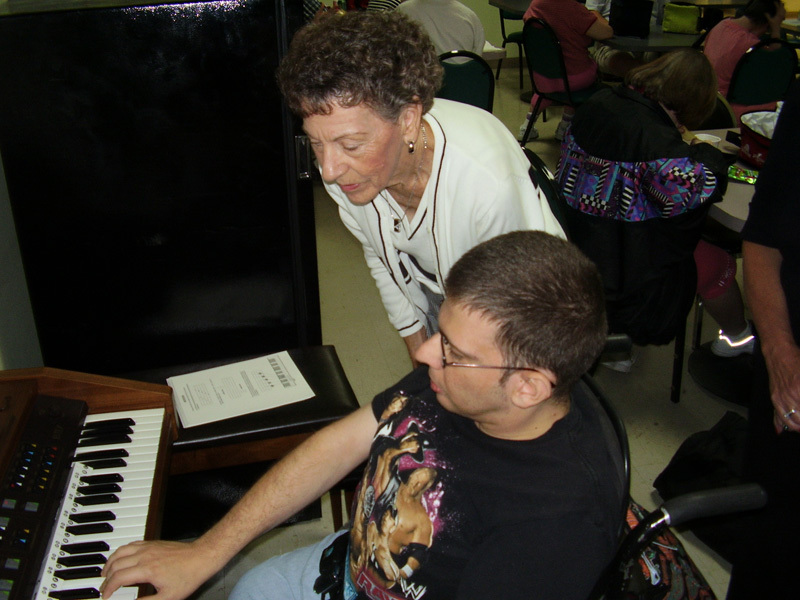 SunriseArc offers learning, working and playing activities designed to support individuals with even the most difficult challenges from intellectual, physical and emotional disabilities. The training facility located in Leesburg welcomes over 100 people with developmental disabilities from Monday through Friday. Our clients receive individualized training in the areas of work, academics, social and living skills, community activities and cultural enrichment. Our I-Care Unit where many of our clients require special attention in the areas of physical positioning, feeding, communication and behavioral management. Our highly trained staff, work with individuals and groups on goal-oriented material by utilizing relevant training tools. Our day activities promote education, experience and exposure for our clients. Learning takes place in the day centers through positive and uplifting opportunities. Ongoing programs include art, computer, music and cooking classes as well as outdoor activities like swimming and bocce. Clients enjoy organized events that promote wellness and safety like health fairs and speaker sessions. Social skills are developed through interactive activities like dances and civic projects.